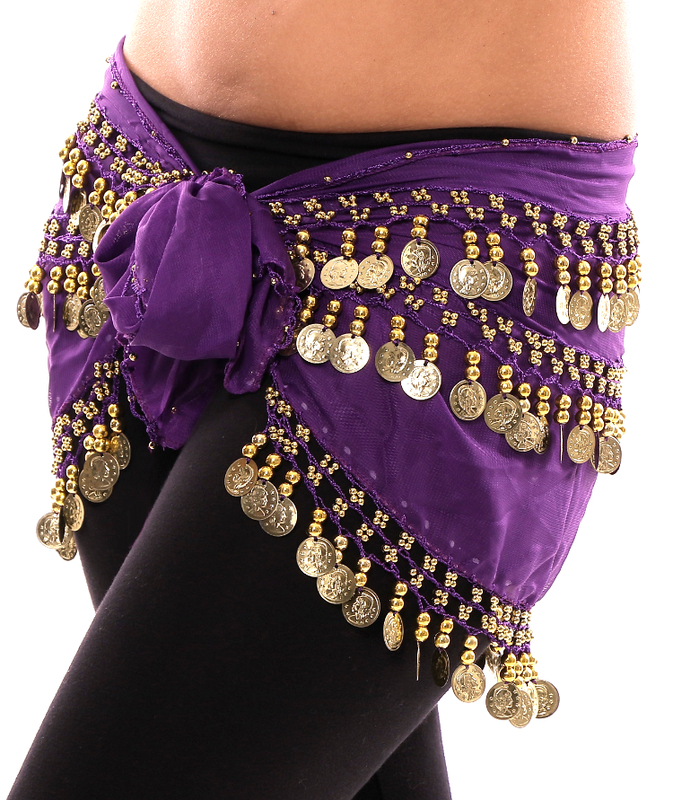 This classic straight design chiffon hipscarf with beads and coins is a true classic that works for any style of Belly Dance - from Egyptian to Cabaret to Tribal Fusion. 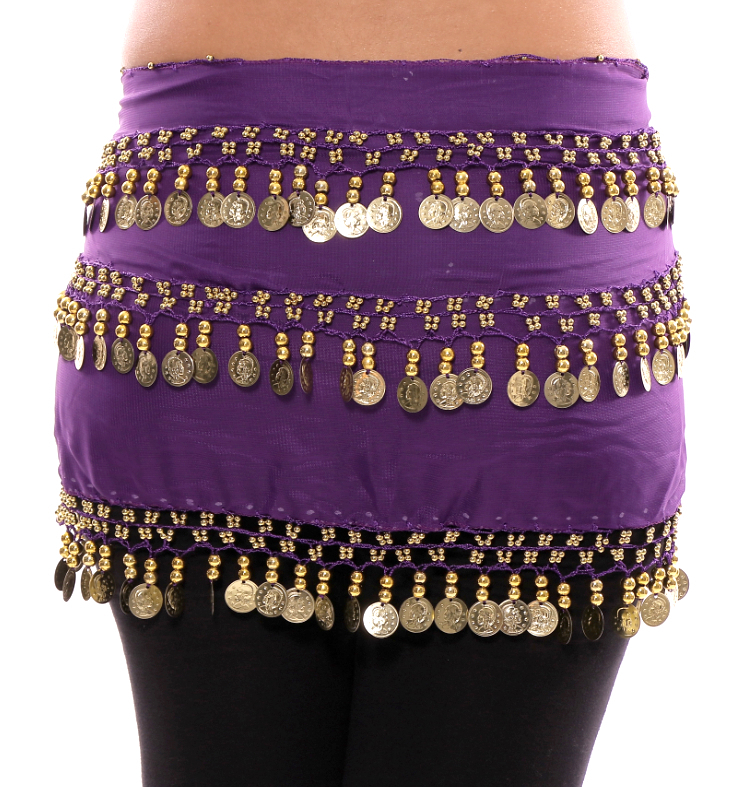 This classic straight design purple grape chiffon hipscarf with beads and gold coins is a true classic that works for any style of Belly Dance - from Egyptian to Cabaret to Tribal Fusion. 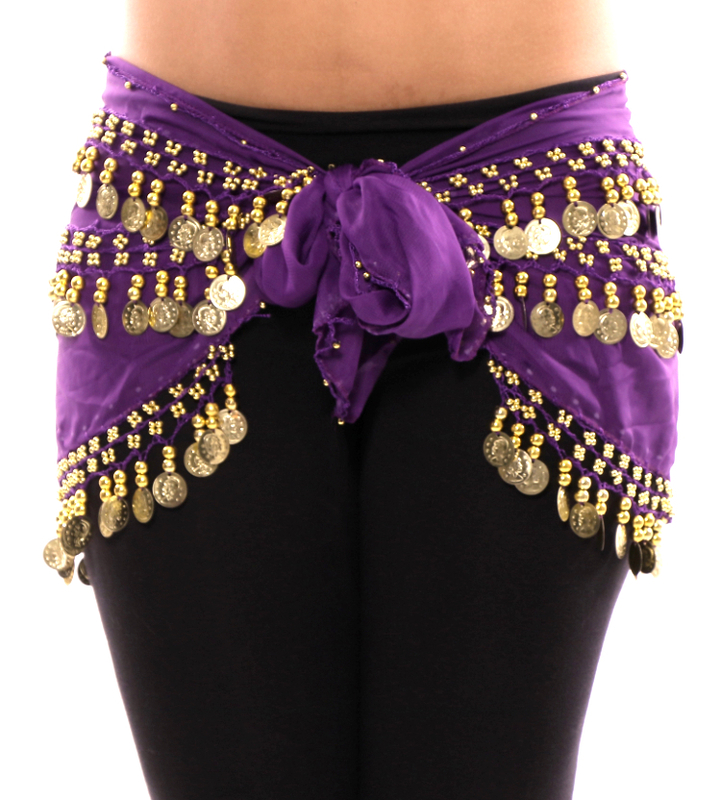 Also great for Zumba, or any time you want to make some noise!